We are dedicated to achieving your financial goals. Whether they include providing your children with the best education, a lifetime of travel, or a comfortable retirement, our firm is dedicated to helping you accomplish these goals. Our clients include individuals, families and small to middle sized companies. Our CEO’s Accredited Investment Fiduciary (AIF) designation, Chartered Financial Analyst (CFA) designation and Masters of Business Administration (MBA) degree, combined with over 25 years of Wall Street experience are valuable assets to our clients. As an employee-owned independent Registered Investment Advisor (RIA), we act in the client’s best interest, without concern of public shareholders. We accept fiduciary duty and fiduciary responsibility – placing the client’s interests before any other party’s interests. Our professionals have clean regulatory records and no history of client complaints. We work with individual and institutional clients across the U.S. and abroad. We do not charge a fee for introductory client meetings. Our fees are based on the value of your assets. Your fees do not increase unless the value of your assets increase. 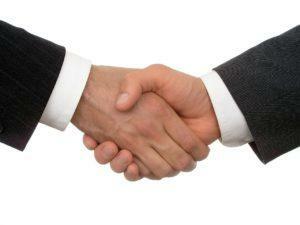 This creates a partnership where your success dictates our success.